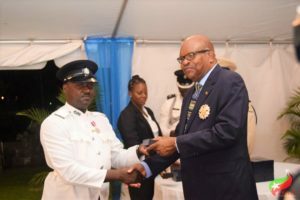 Basseterre, St. Kitts – Police Week 2017 kicked off Nov. 25 with the Police Awards Ceremony at Government House to honour the hard working members of the Royal Saint Christopher and Nevis Police Force. “All year around we are consumed with the duties and activities geared primarily towards the safety, security and happiness of others,” said Commissioner of Police Ian Queeley, who noted that the career in law enforcement is one of many challenges, and awarding police officers for their outstanding service in the federation is necessary. 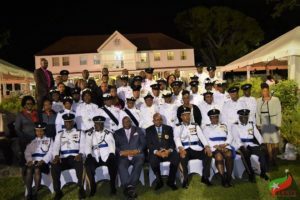 The week of activities started off with two other key events following the award ceremony: a church service and parade held at the Wesley Methodist Church Nov. 26 and the Commissioner’s Parade in Basseterre Nov. 27.